Remember Henry Chaple? 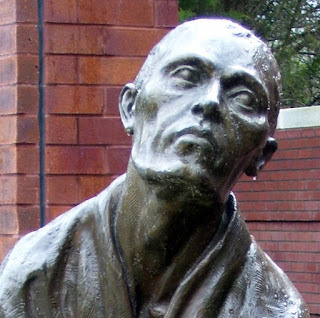 He was one of two brothers from a New York regiment that were captured at Plymouth, NC during the Civil War. 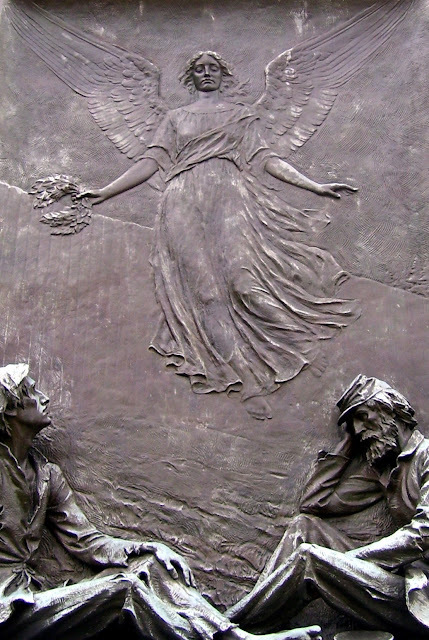 They were both sent to Andersonville Prison Camp in Georgia. Henry survived, but his brother did not. When I photographed Henry's grave at Evergreen Cemetery in Fitzgerald, Georgia, I had no idea of his story. 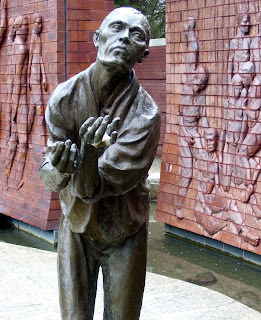 After I returned home and learned more, I decided I wanted to also pay my respects to the brother that did not survive. His name was Alfred Chapel. We headed down I-75 yesterday morning. It was raining, and the forecast was not great. I was determined to go, however, since various things had interrupted my plans in recent weeks. I was armed with Alfred's grave site number that I had obtained online, as well as a map and my digital camera. 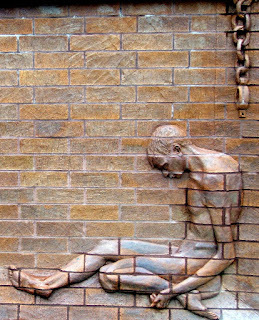 At some point, before we reached Andersonville, I began to wonder about Alfred's arrival to the prison camp. Since he was captured in April 1864, it is very close to being exactly 146 years ago. Was it raining when he arrived? If it was, there was no shelter once he stepped off the train that brought him to his final "home." Once we arrived at Andersonville National Historic Site and Cemetery, we went into the building that houses visitor information and the Prisoner of War Museum. I have visited the excellent museum in the past and decided to skip it this time around. I did get some photos of the beautiful memorial located just outside. I then returned to the visitor information section. Located there are a couple of computers that allow you to look up prisoner and burial information. 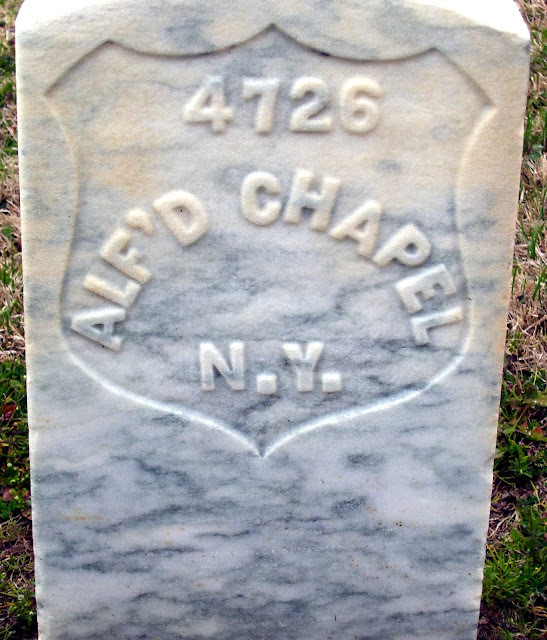 While I knew Alfred Chaple was #4726, I decided to see what else I could find. While I already knew much of the information given -- his military information and cause of death -- I was able to determine he was buried in section F of the cemetery. That should make it easier to find him. I wrote down the information on a small card provided. Instead of going directly to the cemetery, we drove around the actual prison camp site. This was not my first visit to Andersonville, but you can never get used to the feeling that comes over you when you take the time to try and absorb what happened on the ground on which you are standing. View from Star Fort, the headquarters of the commandant. In the photo above, at the bottom and just to the right of center, are two stone structures. They represent the South Gate entrance/exit to the stockade. Just across the "street," to the left of the gate in the photo, was the site of the Dead House. This was a small structure built of tree branches. When Alfred died in August 1864, his body was taken there. It was then carried by wagon to the cemetery for burial. Next stop was the cemetery to find where Alfred was buried. On the back side of the small card on which I had written his gravesite number and section, was a map. 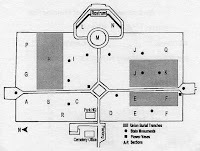 Alfred was in section F, just inside the cemetery entrance on the left. Using the information gathered, his marble military tombstone was easy to find. I don't often spend long periods of time at particular gravesites when visiting cemeteries. I rarely know much about the individual sites I photograph until after I return home and research is conducted. This time was different. I told Alfred all about how I first found his brother Henry in Fitzgerald. 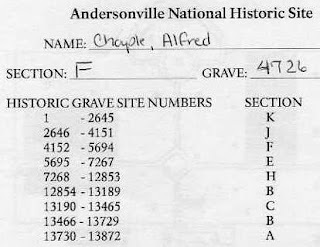 How I learned of Alfred from the research of Henry, and how I decided it was necessary for me to visit Alfred at Andersonville as well. I wondered if anyone had ever visited Alfred. Was his brother Henry ever able to make the trip? Could he even have mustered the strength it would have taken for him to return to this horrible reminder of his time spent at Andersonville? I certainly do not know, but I got the distinct feeling this Georgia girl was a welcome visitor. While that was probably the best place to end this post, I want to share with you a couple of photos from one of the monuments closest to Alfred. It so happens to be one erected in 1911 by his home state of New York. you have done a wonderful posting of this historical site and your visit to this one man. My husband has an ancestor that died at Anderson. Some day I hope to visit. Very moving. I have wanted to visit here for a long time. 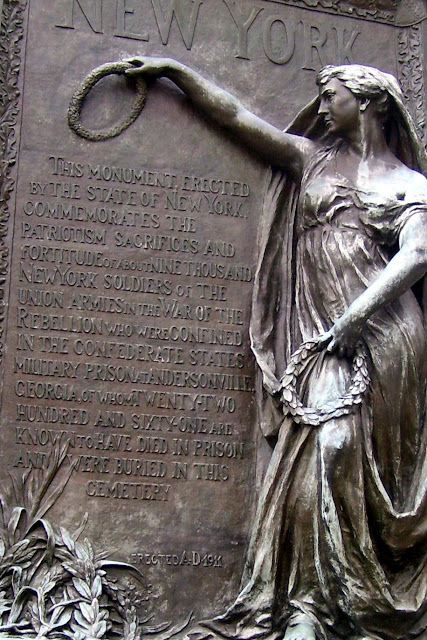 I'm going home to Columbus in May and I hope to take time to make the trip down to Andersonville. Thanks, yall. It's definitely worth a visit. Thank you so much for your comment, Jeannette! Learning just a bit of the story of Henry and Alfred was a great journey for me.